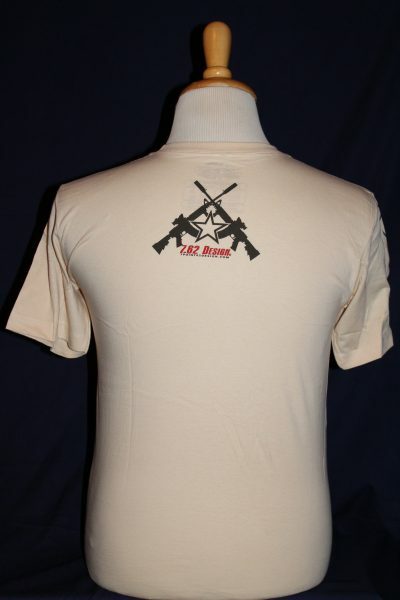 The AR15 Get Some T-Shirt is two sided jumbo design in tan. 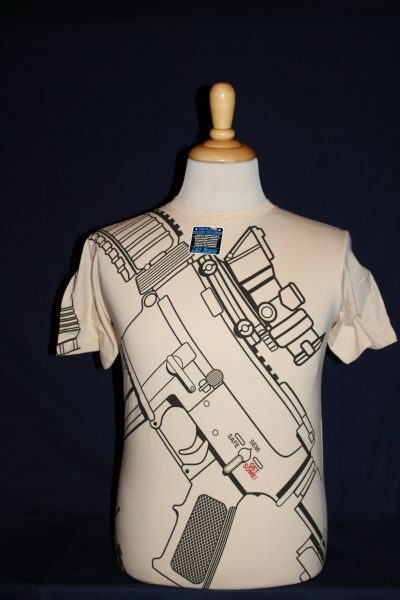 Front design shows AR15 in a black outline. 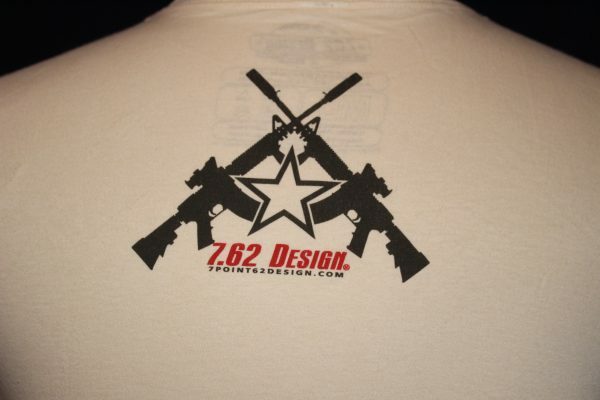 Back design shows crossed AR15 rifles in black.